Midwest and Central Log Home Restoration services LLC will work with you to find the right solution for the exterior or interior of your log home or cabin. We can solve your log home repairs in a variety of ways. We have inspectors throughout the Midwest to make the initial log cabin and home inspection . Visit this link for a log home self-inspection or if we are not able to visit your location. Call for help 888-231-2412 or call to order Permachink system products for your log home. Midwest Log Home Restoration provides a wide range of staining, maintenance and repair, chinking services to restore your log home to a pristine condition. Click here or go to the services link above to see our complete line of services. We are also here to provide log home maintenance, which we recommend doing twice a year. We will apply Log WashTM to your log home exterior to extend your stain and topcoat life. Corn cob, glass bead, walnut shell or soda blasting / media blasting for stain removal and use of Prelude ( sealer) if desired. Walnut media blasting is called the dry method. This method will not lead to water damage on interior logs. Log cabin, log buildings, log structures, lodges, cottages, and timber frame, cedar tongue and groove interior and exterior restaining. Log home cleaning and maintenance. Perma-Chink Systems provides everything needed to seal, protect and beautify your log home. We sell wood preservatives. Call 877-542-3824 to order today. Media blasting services for Automotive, boat, commercial and industrial applications. We use Perma Chink Systems products exclusively. Click image below to order today! Midwest Log Home Restoration with seventeen years of experience is the only resource you need for all of your restoration, repair and maintenance needs. We specialize in log home restoration and use only the finest products from Perma-Chink TM. We take pride in all we do. Our goal is to give your log home that new refreshed look it deserves. Along with that new revitalized look, you can be sure that your home has a quality coat with Perma-ChinksTM extensive line of proven Lifeline Advance stains. We also sell Perma-Chink products online for do-it-yourself ers. Click here for our list of services. Log home care is vital to protect your investment. 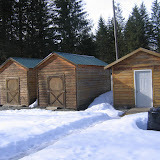 Visit our log home blogger too. With contractor service in Arkansas, North Dakota, South Dakota, Minnesota, Wisconsin, Illinos, Missouri, Louisiana, Texas, Oklahoma, Kansas, Nebraska, Iowa. Call if your area is not listed 888-231-2412. We work with contractors in your area.